The Yankees beat the Baltimore Orioles 7-3 in their second to last game of the season. They bounced back after losing the first game of the series, and Dellin Betances bounced back after allowing at least one run in three of his last four appearances to strike out three batters in a row after Michael Bourn reached on an infield single. That was a major takeaway from the game because Betances will be able to go into the offseason with some momentum after struggling in September after having a very successful first five months of the season. His ERA is now 3.08 but it was an outstanding 2.05 on September 5 before the opposition scored 10 earned runs against him in his next six innings pitched (eight appearances) as a result of decreased mechanics. However, his 126 strikeouts are more than any other reliever and he does have a very solid 1.12 WHIP. Luis Severino did not pitch as well as he would have liked as he tried to go into the offseason with momentum as a starter. Even though he excelled this season as a reliever, the Yankees still see him as a starting pitcher going forward. He allowed three runs on two walks, five hits and a homer, but it could have only been one run if Tyler Austin would have made a diving catch in right field, which Joe Girardi thought he could have made. The Yankees will really have to decide in spring training where Severino will be best going forward since it is possible that he should be a eighth or ninth inning relieve since he does not have more than two dominant pitches right now. Bourn hit a single to center field in the second inning with two outs that scored Mark Trumbo and Chris Davis. However, to lead off the inning, Trumbo hit a ground rule double to near the foul line in right that Austin came very close to catching. If he would have made that catch than Bourn would not have come to bat with runners on second and third. Tyler Austin didn’t make that catch but he made up for it later in the game with his bat. Manny Machado, who has had a great season, with 37 homers and 96 RBI, hit a solo homer in the third inning. After his homer Severino allowed two singles in a row but then struck out Chris Davis to end the inning. The Yankees were losing 3-0 in the fifth inning but Tyler Austin would hit a single that drove in Chase Headley, who walked earlier in the inning, and sent Austin Romine to second. The next two Yankees got out but Romine’s and Austin’s RBI later in the game gave the team enough runs for the win that hurt the Orioles wild card hopes. In the seventh inning, Austin hit a solo homer off of Orioles starter Wade Miley as he went to the opposite field once again. Besides Austin’s first career homer in his first game, all of his homers have come in clutch situations in the game. This homer in the 7th tied tied the game at three. To give the Yankees a 5-3 lead in the 8th backup catcher Romine singled to shallow left center with one out to scored Chase Headley and Jacoby Ellsbury. Romine has been another clutch player for the team this season as he has 26 RBI in only 165 at-bats this season. Brett Gardner closed out the scoring by hitting a double down the left field line that scored Romine and Torreyes in the 8th inning. The relief pitchers all threw well as five pitchers combined to complete 5.1 innings and allow four hits and strike out three. Besides Betances, Richard Bleier (2.05 ERA) and Tyler Clippard (2.49 ERA) pitched in this game and had great seasons with the Yankees and could be pieces of the bullpen next year. Jonathan Holder allowed one hit in 1.1 innings and even though he had a 5.40 ERA in eight appearances he could be a factor in the bullpen next season based on his dominant 0.89 ERA with 35 strikeouts in 12 games (20.1 innings) at Triple-A this season and his very good 2.20 ERA in 28 games before getting promoted to Triple-A. Austin could be a real contributor next season as a backup at first base to Greg Bird as well as in the outfield. He has a .244 in 30 games (82 at-bats) since the beginning of August, but in his 49 at-bats at Yankee Stadium he has a .306 average (15 of his 20 hits), and he has also hit all five of his homers and 11 of his 12 RBI. This is something that Girardi can remember for next season. Austin’s performance as well as the bullpen’s effectiveness and especially Betances’s are the major takeaways from Satruday’s win. 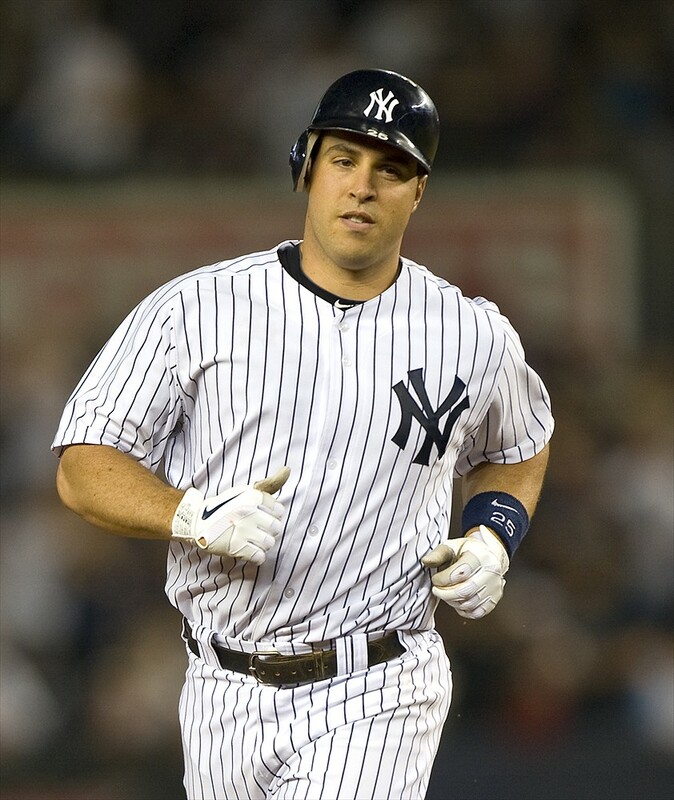 The major theme of Sunday’s game will be that Mark Teixeira will be playing in his final major league game. When Tyler Austin was asked about being with the Yankees the last two months he thought it had been important. He was also asked if he ever got down on himself after some of his struggles. If the Yankees win the last game of the season they will send Teixeira out on a winning note, prevent the Orioles from hosting a wild card game and only finish two games worse than they did last season. That would be impressive after trading away Aroldis Chapman, Andrew Miller, Carlos Beltran and Ivan Nova at the trade deadline. After clinching a spot in the wild card game on Thursday against the Red Sox and having their game against the Orioles rained out on Friday, the Yankees will play a double header in Baltimore today. The Yankees beat the Red Sox 4-1 on Thursday night at Yankee Stadium and with the win they snapped their two-year postseason drought. The Yankees also won their 10,000th game in franchise history after previously losing three games in a row. The Yankees were an underdog coming into the season since some predicted them to finish in last place, which makes this postseason appearance especially meaningful. Thursday’s postseason clinching win was made more significant because it was at home and it came over the Red Sox. The Yankees had lost four of their previous six home games and it was great for the players on the team that they were able to get this win in front of their home fans and be able to celebrate in their stadium. The Yankees currently have a 2.5 game lead over the Houston Astros for the first wild card spot with three games to play, which means that it is almost a guarantee that the wild card game will be played at Yankee Stadium. Houston has a one-game lead over the Los Angeles Angels of Anaheim for the second wild card and the Minnesota Twins are a game behind the Angels. It will be a better matchup for the Yankees if they play the Angels in the wild card game because the Astros ace, Dallas Keuchel, has a 2.48 ERA this season and did not allow a run in his two starts against the Yankees. Joe Girardi is prioritizing resting his regulars during today’s double header over putting his best players on the field in Game 1 to try to clinch home-field in the wild card game. However, if the Yankees do get a win against the Orioles, who are not playing for anything, they will clinch home-field in the wild card game. Austin Romine will make his first career start at first base, Jose Pirela will play right field giving Carlos Beltran the game off, John Ryan Murphy will get his second consecutive start at catcher and Brendan Ryan will play shortstop instead of Didi Gregorius. Murphy gave an epic interview during the Yankees post game celebration on Thursday. He has hit very well for a back-up catcher this season and in his last four games he is 4-13 (.308) with one run scored and one double. It can be hard for back-up catchers to hit for a high average because they usually get inconsistent at-bats. Rookie Rob Refsnyder has also hit very well recently while getting increased playing time at second. In his six starts during the home-stand, Refsnyder had eight hits in 20 at-bats (.400) with one runs scored, one homer, one steal, two RBIs and two doubles. He will likely get the start in the wild card game, against Keuchel if they play the Astros, based on his performance in those six games. Girardi announced that Ivan Nova will start today’s game at 12:05 p.m. and that Luis Severino will start the second game, but that could change if the Yankees secure home field advantage before the second game starts. Michael Pineda will get the start on Sunday. The news on Mark Teixeira is much worse than originally thought. It was announced today that what was initially a deep bone bruise is now a broken right leg. He will not return during the regular season or the postseason. The recovery time will be three months. “With the way he’s been throughout this process, it’s clearly no surprise,” general manager Brian Cashman said. “It just makes sense why he ran down the first-base line the way he did; why he couldn’t do anything beyond walking.” Since Teixeira fouled a ball off his leg on August 17, the Yankees have gone 12-9. The Yankees have missed his Gold Glove caliber defense at first base and the impressive power numbers that he has displayed this season. He has 31 homers, 79 RBIs, a 3.4 Offensive WAR, a .548 slugging percentage and a .906 OPS. His 31 homers, 3.5 Offensive WAR, .548 slugging percentage and .906 OPS are all best on the team. Greg Bird, who was thought to be the temporary first baseman until today, will now know that he will be the everyday first baseman for the rest of the season and in the playoffs. He has performed well at the plate and if you prorate his power numbers for a full season they would be similar to Teixeira’s, but he is still a rookie. However, his defense is not nearly on the level that Teixeira’s is because he does not know when to get a grounder and when to leave it for the second baseman. Bird, who is a 22-year-old rookie that was called up from Triple-A on August 13, has played in 25 games and has five homers, three doubles, 15 runs scored and 17 RBIs. He will have to continue to handle the pressure of playing games that matter the rest of the season, including in this weekend’s series against the Toronto Blue Jays. The series that the Yankees play this weekend is their biggest one since the 2012 season, which is when they last made the playoffs. As of before Friday night’s game, the Yankees are 1.5 games behind the first place Blue Jays in the American League East. These four games will go a long way towards determining who wins the division. The Yankees need to win two or more games to ensure that it will be a race the rest of the season. The Yankees and Blue Jays have both gone 6-4 in their last 10 games, but the Yankees missed an opportunity to gain ground since they lost the last two games of their series to the Orioles and Blue Jays lost their last game of their series to the Red Sox. The Yankees (77-60) play the final game of their three-game set against the Orioles tonight before their important three-game weekend series against the Toronto Blue Jays. The Yankees have split the first two games with the Bronx Bombers winning the series opener 8-6, as a result of Greg Bird‘s 3-run homer, and the Orioles winning the second game, as a result of Chris Davis’s homer off of reliever Chasen Shreve. The Yankees are currently 1.5 games behind the Blue Jays in the AL East. 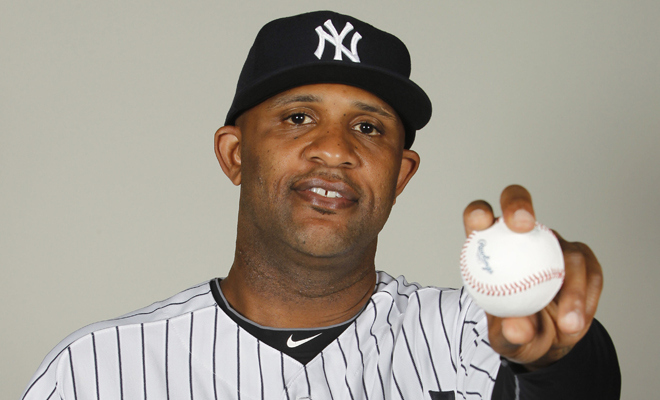 CC Sabathia will get the start tonight after not having pitched in a game since August 23. He was put on the disabled list on August 24 due to knee inflammation after feeling pain in his surgically repaired knee. He had to leave his start on the 23rd after allowing two runs on four hits and four walks in only 2.2 innings pitched. Before that start against the Cleveland Indians, Sabathia had pitched six or more innings in three straight starts and allowed two runs or fewer in two of them. That is an improvement from earlier in the season, and the Yankees will be looking for him to give them a least six innings tonight against the Orioles. They can use length out of him because the Blue Jays offense that they will be facing in the upcoming series is more powerful than what the Orioles have, so it will be helpful to save the bullpen. Since their two most effective weapons out of the bullpen will be available tonight after they needed Tuesday off, it will be ideal if Sabathia can pitch 7.0 innings, Dellin Betances can pitch the eighth inning and then Andrew Miller can come in for the save in the ninth. That is provided that the Yankees offense can score more than the one run that they scored on Tuesday night. The Yankees were 0-3 with runners in scoring position last night and left seven runners on base. That will have to improve against Ubaldo Jimenez. A recipe for success offensively will be to take advantage of when runners are in scoring position and hit one or more homers because they are 42-11 when they hit two or more homers in a game this season. Tonight against Jimenez, Brett Gardner is out of the lineup for the third consecutive game because his shoulder is not fully healed. Gardner jammed his shoulder after diving for a ball at the outfield fence during Saturday’s game. He was optimistic that he would play today when interviewed on Tuesday, but Joe Girardi is cautious because Gardner is often diving on the base-paths and in the outfield. Gardner only has one hit in his last 13 at-bats and has a 3-17 average in his career against Jimenez. 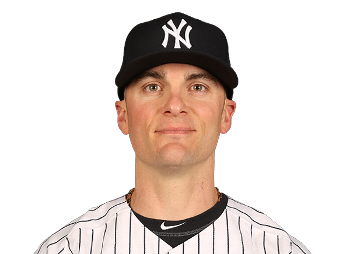 Dustin Ackley, who the Yankees acquired from the Mariners at the trade deadline on July 31, will get the start in right field. Ackley is 6-11 against Jimenez, which means that he has had a lot of success in a small sample size. The Yankees lost to the Baltimore Orioles 2-1 on Tuesday night in a game that Masahiro Tanaka only allowed one run in eight innings pitched. The score was 1-1 going into the ninth inning but reliever Chasen Shreve, who had a 1.86 ERA coming into the game and had not given up a run in his previous seven games, allowed the game-winning homer to Chris Davis, who now has 41 homers and 102 RBIs. “It looked like it was a pitch that he left out over the zone,” Joe Girardi said. Girardi said that Shreve has been a big part of the team’s success this season. Toronto’s 5-1 win over Red Sox in 10 innings combined with the Yankees loss pushed the Blue Jays lead in the AL East back to 1.5 games. The Yankees, who were tied with Toronto in the loss column and half a game behind overall, struggled on offense and that prevented them from keeping pace with Toronto in the division. Tanaka, who had a season-high 10 strikeouts, had a perfect game through three innings and should have been able to win his 12th game of the season. He pitched well the few times that runners were in scoring position as J.J. Hardy popped up to 2nd with runners on first and third to end the fifth and he got Hardy to ground out to Didi Gregorius after Matt Wieters had doubled in the seventh. The only mistake that Tanaka made was a pitch that Ryan Flaherty hit for a home run to right field in the sixth inning. That was Flaherty’s eighth round tripper of the season. The Yankees only had six hits but one of them was Alex Rodriguez’s 30th homer of the campaign. Rodriguez, who has hit for more power than anyone could have predicted in spring training, hit his homer off of a Kevin Gausman fastball to the first row above the Budweiser sign in left field. A-Rod is now the only player besides Hank Aaron with 15 seasons with 30 or more home runs. The Yankees were 0-3 with runners in scoring position and left seven runners on base. Brian McCann, who has 25 homers and leads the team with 86 RBIs, struck out swinging with runners on first and second with two outs in the fifth inning. Greg Bird, who has shown impressive power in his 23 games since being called up from Triple-A as he has five homers and 17 RBIs, ended the team’s scoring threat in the first with a strikeout with runners on first and second. Zach Britton retired the side in order in the ninth inning, which included a Chase Headley ground out to end the game. A few players are in a slump right now as Stephen Drew, who was hitting very well, has three hits in his last 17 at-bats, Carlos Beltran has four hits in his last 22 at-bats and Jacoby Ellsbury has only four hits in his last 20 at-bats. The Yankees will need them to improve tonight and in their upcoming series against the Blue Jays. The Yankees will try to win the series against the Orioles, who have lost seven of their last 10 games, with CC Sabathia pitching. Sabathia, who had been on the disabled list with a knee injury, has allowed two runs or less in two of his last three starts, which is not including the one that he only threw 2.2 innings after having to leave the game with an injured knee. The Yankees will need Sabathia to give them length and effectiveness because Nathan Eovaldi has been shutdown for two weeks with elbow inflammation, which means he might not pitch again this season. His elbow injury might have caused Eovaldi to allow eight runs and 13 hits over 10.1 innings in his last two starts. Wednesday’s game is at 7:05 p.m. and Ubaldo Jimenez, who has a 4.24 ERA this season, will get the start for the Orioles. The Yankees just completed a series where they won two out of three games against the Tampa Bay Rays. They won a much needed game yesterday by the score of 6-4 after Tampa Bay had a 3-0 lead after the third inning. It was a win that they needed because the Blue Jays also won so it allowed them to remain 1.5 games behind Toronto. Chris Archer had dominated the Yankees in his career as he had a 1.93 ERA in six starts against the Bronx Bombers between 2012 and 2014, but the Yankees were able to score five runs (four earned) off of him. He was nearly flawless in the first five innings, but the bats heated up in the sixth as Brian McCann and Alex Rodriguez hit back-to-back homers with two outs. McCann’s was a three-run blast and Rodriguez’s 28th homer gave the Yankees a 4-3 lead. Hitting homers has been a big part of the team’s success and the Yankees are 41-11 this season when hitting two homers in a game. Asdrubal Cabrera, who was 5-10 in the series, hit a homer off of Dellin Betances in the eighth inning to give the Rays their fourth run. That was only the fourth homer that Betances has allowed this season. Brett Gardner grounded into a fielder’s choice to second that scored Didi Gregorius after Logan Forsythe’s error in the seventh, which ended up being the game-winning run, and then Gregorius singled right up the middle to score pinch-runner Rico Noel to give the Yankees an insurance run and make the score 6-4. Jacoby Ellsbury, Rodriguez and Gregorius each contributed two hits and McCann’s homer gave him 25 for the season, which is a new career-high for the catcher who is in his 11th season. Andrew Miller allowed two hits in the ninth with two outs but was able to strikeout Brandon Guyer to end the game. Miller now has 31 saves in 32 chances in his first season as a closer. The Yankees will now play an important three-game set against the struggling Baltimore Orioles. Baltimore has lost 14 of their last 17 games, which makes it important that the Yankees sweep the series. The Orioles are currently 65-71 and 13 games behind Toronto in the AL East. In today’s matinee game at Yankee Stadium, three regulars will get the afternoon off as John Ryan Murphy will start at catcher, Jose Pirela will play second and Chris Young will play left field instead of Brett Gardner. It is a normal that Young is getting the start today because he has basically been playing against all lefty starters since he has a .323 average against southpaws this season. 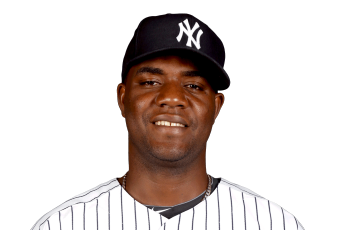 Michael Pineda will pitch for the Yankees in today’s game. Pineda will look to continue the success that he had in his previous start when he only allowed one run in six innings against the Red Sox while striking out seven. One factor that could help Pineda today is that he has a 3.22 ERA in day games but a 4.62 ERA in night games, so if he continues that trend he should have success against Baltimore. Brendan Ryan hit an RBI double in the sixth inning that ended up giving the Yankees a 3-2 win over the Baltimore Orioles in the series opener. That was Ryan’s fifth hit of the season (5-17) and it was a clutch hit after standing four in his first two at-bats. Ryan hit a double to right down the third base line to drive in Didi Gregorius. The Toronto Blue Jays won last night, so the Yankees now have a 4.5 game lead over Toronto for first place and the Orioles and Tampa Bay Rays are five games back. Nathan Eovaldi got the start for the Yankees and he allowed two runs on four hits and three walks in 5.2 innings pitched. He had four strikeouts and has now allowed two earned runs or less in five of his last six starts. A key out for Eovaldi came in the fifth inning when he got Chris Parmelee to ground out to second with runners on first and third with two outs. After not allowing any hits in the first three innings, Eovaldi wasn’t as effective in the fifth and sixth. In the sixth inning, Matt Weiters singled to right off of Eovaldi to score Jimmy Paredes and advance Adam Jones to second. Justin Wilson would then allow an RBI single to JJ Hardy that scored Jones, which was Eovaldi second earned run. However, Eovaldi did mix his pitches well in addition to throwing 100mph fastballs. Eovaldi helped his own cause in the first inning by picking off Manny Machado at first with an outstanding throw. He has really improved his secondary pitches since allowing eight earned runs to the Marlins on June 16. The Yankees scored their first run of the game on a sacrifice fly by Alex Rodriguez to left that sent Brett Gardner home. 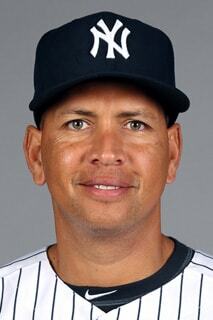 That was A-Rod’s 53rd RBI of the season, and he is on target to have his highest RBI total since the 2010 season. In the second inning, Chase Headley hit a double to the wall in left off of Wei-Yin Chen to score Brian McCann to give the Yankees a 2-0 lead. Mark Teixeira, Chris Young and Headley all had two hits for the Yankees. Young had two hits off of the lefty starter, and now has a .371 average in 89 at-bats with six homers against southpaws. Headley is now on a six-game hitting streak with three doubles and three RBIs in that span. Teixeira now has three consecutive multi-hit games, which has improved his average from .239 to .252. The Yankees were only 1-10 with runners in scoring position but they got timely hits and excellent pitching from the bullpen once again. Mark Teixeira made a great scoop on an in between hop on a throw by Gregorius to get the second out of the ninth inning. Jonathan Schoop then struck out swinging on an 84mph slider from Andrew Miller to end the game. Miller now has 21 saves in 21 save opportunities in his first season as a closer. Including Tuesday’s 3.1 scoreless innings, the bullpen has now not allowed a run in their last 11.1 innings. Dellin Betances recorded the last out of the seventh and pitched the eighth and was able to record two strikeouts. He now has 81 strikeouts in 50.1 innings pitched, which proves how his pitches have been nearly un-hittable. “He is able to give you multiple outs and he is very durable,” Girardi said. “He just means a ton to our team. I think he understands that when we get to the seventh that we might use him for multiple outs. The Yankees have won 19 of their last 26 home games. 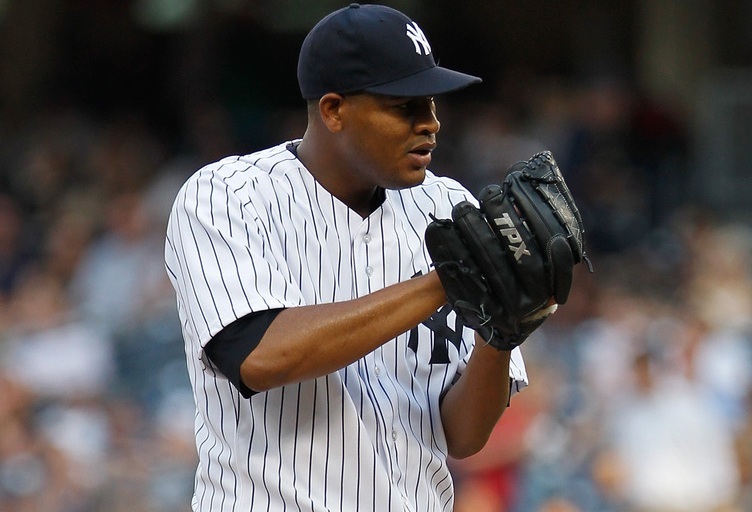 After their win on Tuesday, Ivan Nova will get the start for the Yankees in Game 2 of the series on Wednesday. He allowed four runs in 6.2 innings in his previous start.